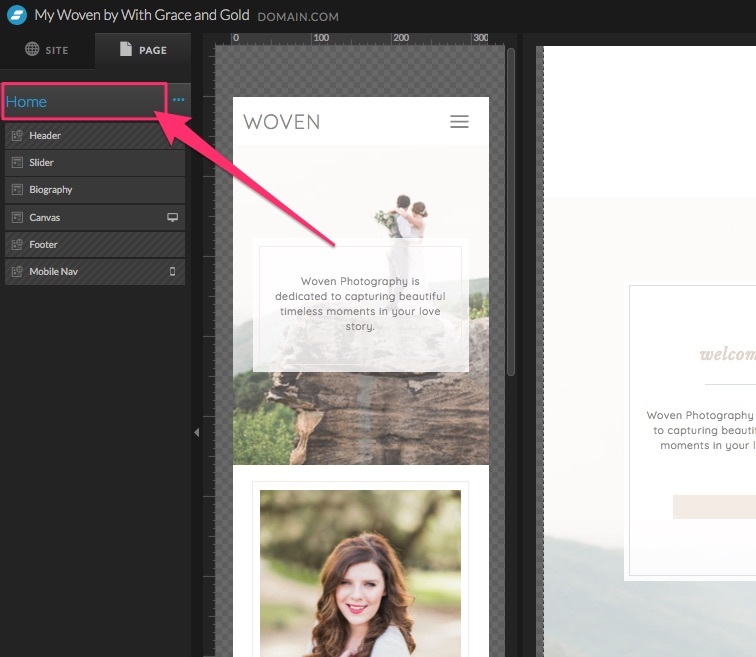 Can I add Custom HTML Code Into My Site's Head Section? 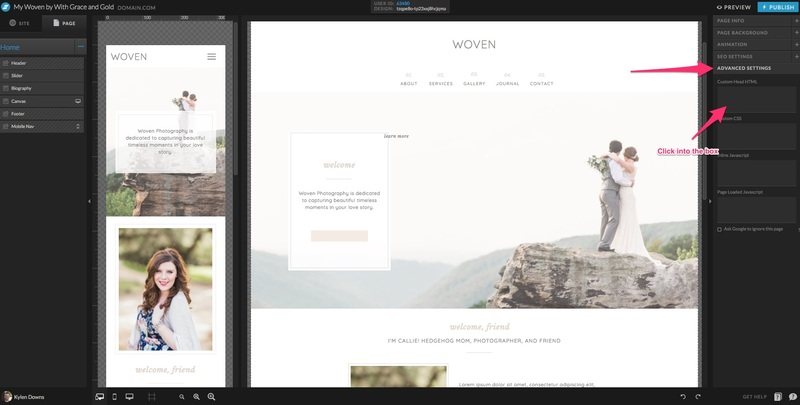 Some third-party services require you to insert code into the <head> section of your site rather than embedding a widget or form directly into a canvas (see Embedding Widgets for more info). Common examples for this include Facebook Pixel, Pinterest's Rich Pins, Online chat systems, or third-party tracking services (Excluding Google Analytics which has a built-in option. See: Setup Google Analytics). 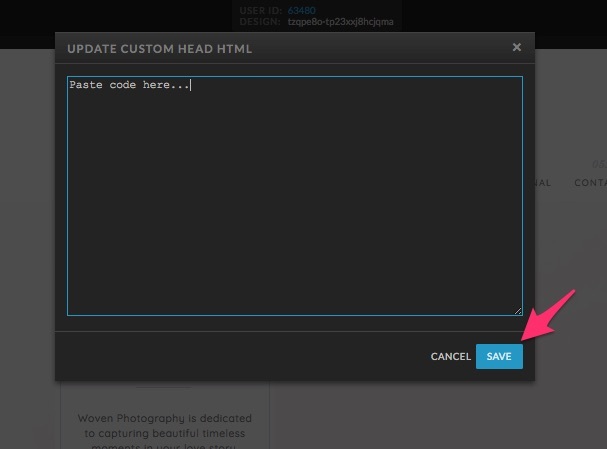 Clicking the box will pull up a pop-up window that will allow you to paste your code. Click "Save" when finished.